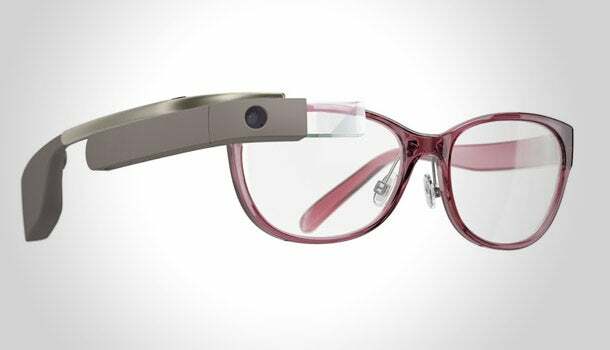 Google Glass is getting a high-fashion makeover courtesy of Diane von Furstenberg. Google unveiled a line of wearables (five new frames and eight shades in two distinct styles) created in collaboration with the fashion designer's studio, DVF, early this morning. The line will be available through the Google Glass website and Net-a-Porter starting June 23, which means if you live in a tech hub like San Francisco or New York City, you're undoubtedly going to see people rocking Google Glass DVF shades this summer. While this isn't the first time Google has tried to transform Glass's image from geeky to cool -- back in the January, the company rolled out the Titanium Collection, a line of frames with a hipster-esque aesthetic – it's a bolder, more high-profile attempt. Does it work? To varying degrees. Some of the DVF frames are subtle and would be cute on their own, but they do little to disguise the trademark cyborg-y bar that sits on the right side of each headpiece. Diane von Furstenberg may be onto something, however, with a pair of multi-colored wrap-around sunglasses. Frankly, they're pretty hideous but that may work to their advantage; wear the garish shades, and it's possible to imagine that passersby will notice their flash before they notice that they're Glass. Step in the right direction, I guess? Related: Nerds Rejoice. Google Glass and Bitcoin, Together at Last. A pair of simple black sunglasses (with a matching black bar on the right side of the frame) is the most promising -- the black on black sort-of-almost disguises the fact that you are wearing a computer on your face. This isn't the last time we'll see a line of Google Glass frames and shades designed by an outside company. In March, Google announced a strategic partnership with the Milan-headquartered eyewear company Luxottica to create Google Glass Ray-Ban and Oakley frames and shades that combine “high-end technology with avant-garde design.” No word yet on when Google Glass Ray-Bans will make their debut. Last month, Google Glass became available to everyone in the U.S. for $1,500. DVF frames and shades will cost slightly more: According to the Verge, DVF Glass shades will set you back $1,620 while DVF prescriptive lenses ring in at $1,725.